Celebration, and the totality of energy it evokes, is one of Osho's most transfomational devices to help us jump beyond the fears of the mind, beyond the lethargy of the body and into deeper layers of our energy. 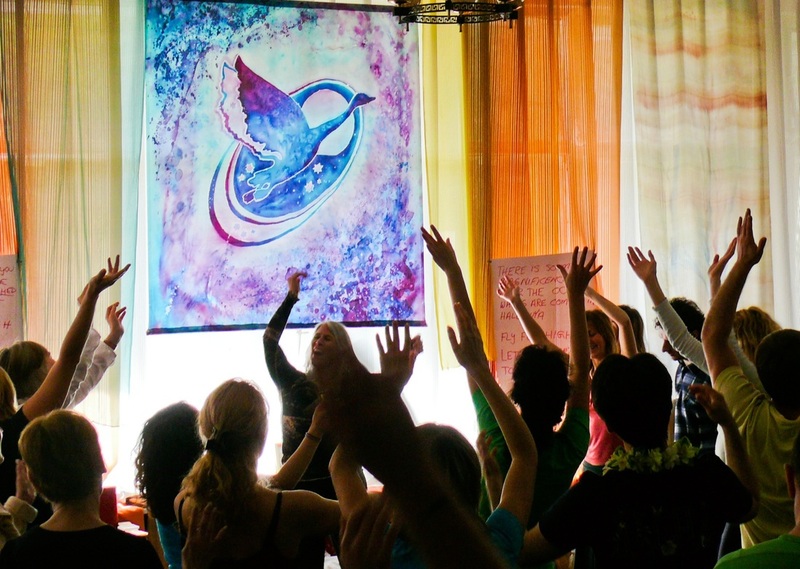 The first steps in an Energy Celebration group will be to 'rekindle the fire' of aliveness in the body with breathing, movement, dance, and touch, to help the energy to flow again. We will throw out whatever old luggage of misery, guilt, and unworthiness we may be carrying unnecessarily so that we can meet in innocence, fresh and new, the joyful sources inside. Together we will play, sing, and share our energies in group processes and rituals which will deepen our trust, and help us to melt and let go into the oceanic oneness that exists eternally and which we can easily fall in tune with. Understanding a few simple keys can open the doors to celebration, moment by moment in everyday life. Live music throughout the group will provide the background for various meditations, Sufi Heart Dance, Osho Satsang, singing and chanting.